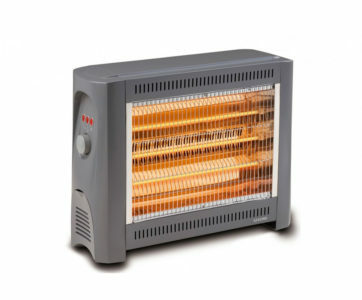 Enjoy evenings basking in the Goldair 2400W 3 Bar Radiant Heater’s cosy, warming glow. 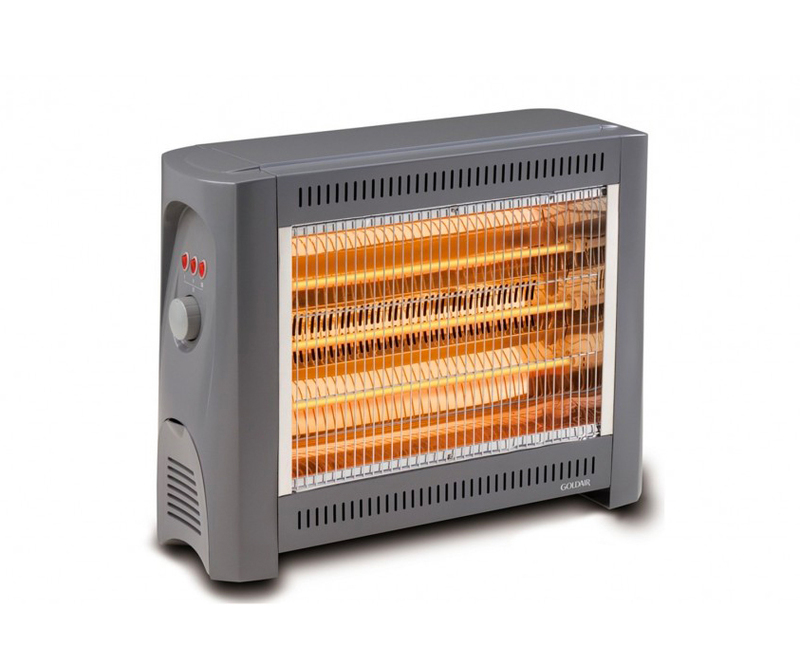 Capable of warming a room quickly, the impressive 2400W infra-red radiant heater will keep winter at bay with three heat settings and a turbo fan boost, whilst its safety cut-out switch and tip-over switch give you peace of mind. Cold will not be an issue for you with the Goldair 2400W 3 Bar Radiant Heater’s 2400W capacity and long-life radiant elements. Three heat settings empower you to control the level of heat you wish to create and enjoy. Enjoy warmth without worry with the heater boasting a safety cut-out switch and tip-over switch. The Goldair 2400W 3 Bar Radiant Heater is ideal for convenient storage having been fitted with an integrated carry handle and enclosed cord.